Scott Sedam, President and Founder of TrueNorth Development recently did a presentation on Becoming the Lean Builder. For years, as a technical consultant for Weyerhaeuser's engineered wood product line, I saw waste and inefficiences everywhere I looked. 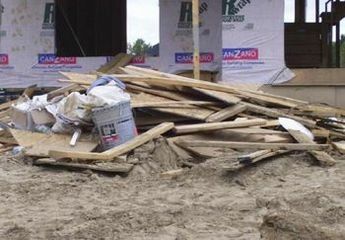 Contractors were making money by accident, and leaving a lot on the table, and a lot of waste ended up in landfills. I saw a big opportunity with BuildIT to help these contractors take the "good" job they were doing, and do it even better by becoming more organized, more attentive to detail, and more in control of their scheduling. So I invested in the Company, and soon afterwards joined the team. Stuff was built, and people were buying. Efficiency was a great concept, but not really necessary when profits were made by default. Along comes 2008... and the party's over. It's time to get lean, or get out. For years, BuildIT has offered a system of tools designed to make contractors more efficent, and keep them more organized. The economic realities today are such that system like BuildIT are necessary for contractors to stay in business, and achieve acceptable profit margins. Let's talk about "Lean" for a bit. It's not dropping your price to get the job. No point in working for free, or losing money while someone else gains from your loss. It's not making unilateral cuts across the board (materials, labor). It's not necessarily about reducing your expenses either, the mistake many make when considering whether they can "afford" to keep systems like BuildIT going. It is about "doing less", but making it "count more". Plug the income and profit leaks in your organization, your product and your processes. Become intolerant of waste. Product waste is fairly self explanatory. 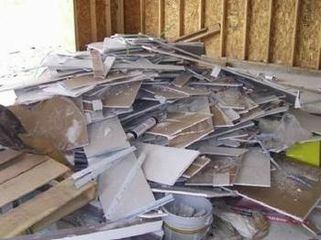 Check out these pile of goodies left over after a job - who do you think pays for this? How much $$ does this represent? Whose pocket would you like that $$ to be in? Less waste = less cost = improved margins for contractors and better products for their clients. Start becoming lean in the "product" category by becoming obsessive about product waste. Don't let it happen. Design it out at the beginning. Hire consultants like Scott Sedam to find out where this waste occurs in your product offering, and how you can turn this waste into margin. Sometimes it takes someone from the outside to show you. Scheduling accuracy, wasted trips, change orders, communication issues. These and other process issues are hard to nail down. Quite frankly, it's a lot easier to deal with product related waste. But spend some time on this one... there are gains to be made, and they'll translate to dollars in your pocket. Scott's research shows that the typical builder averages 50 wasted trips to the jobsite. Times that by an average of $200 per trip, and there's $10K savings right there. While this may seem steep to most at first, do your own math. Keep a log of how many trips you make... that you really didn't need to (if you were more organized, and your subs were better scheduled, and you hadn't miscommunicated on some matter earlier). Figure out what your time is worth, per hour (be truthful here, what could you trade your time for), don't forget wear and tear on your truck, fuel, and opportunity cost (you could have used that time to work on a bid, land another contract, see your son's baseball game). Wasted trips are an indisputable time and money waster. Let's say conservatively that half of those trips could have been eliminated using a tool like BuildIT. You've literally paid for BuildIT for 5 years. I'm surprised at how many contractors I've talked with that have a loose schedule. They build in 120 - 150 days what an "efficient" builder who schedules with specific intent can do in 100 days. Consider "interim financing" or carrying costs. Let's say those costs are $50 per day for a project. The total impact of saving just 1 day in the build schedule can exceed 5X that amount (or $250) IF that day is used for production (taking into account fixed costs and overhead). Now imagine if using BuildIT (not just subscribing to BuildIT and checking it occasionally, but working with the system regularly to update the schedule, notify subs, and keep scheduled tasks on track and production happening on EVERY working day from start to finish) allowed you to shave off a week or 2 on every project you do for the entire year? Save 5 days per project, on, say 8 projects, and there's another $10K saved. The numbers get ridiculous... in your favor. And still, I get those that balk at subscribing to our service for $85 per month because, in their words, "they can't afford it". What you need to understand: those that think they can't afford BuildIT really haven't done the math yet. We hope you will too, and choose to become lean and profitable.